This is super fun book!! You have to take you time or read it multiple times to try and see everything that is happening in the Hotel Fantastic. It also has a great lesson for sharing!! Take the time to see how many times the king with the gold crown and brown hair show up. 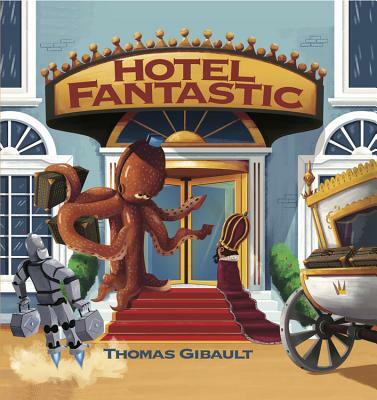 Thomas Gibault was born in Paris and studied illustration in France before moving to Canada. He now lives in Montreal, Quebec, where he spends his time creating illustrations and characters for children's books and interactive shows.